Bi-parting basket weave driveway gate. 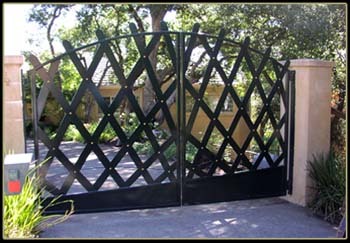 Gate is powder coated with bronze rivets at intersections. These gates are automated.